With Smartling, we always feel like our translation concerns and questions are taken very seriously. We feel like we’re in this together, working toward a shared goal. 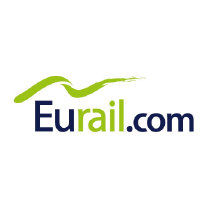 Eurail.com enables travelers from around the world to explore Europe by rail. They’ve done so since 1959 by selling Eurail.com train passes around the globe. From single country passes to their Global Pass that gives access to 28 European countries, Eurail. com makes getting to your destination both easy and exciting. Going global was the main objective for Eurail.com from the beginning. Their business depended on it and with that global mindset came growing pains in their localization process. As Eurail. com continued to grow, they found that they needed a technology that could handle the scope of their internationalized content. From Spanish to Japanese, Eurail.com has been tackling localization for years. It’s something that’s vital to the organization and their customers. With travelers from far and wide, Eurail.com prioritized the need for accurate, high-quality content that reflects the needs of their customers. With a website migration underway onto Adobe Experience Manager, Eurail.com needed to make a change in the way they were translating their content and find a solution to help them scale seamlessly. They sought out a robust solution that could handle their digital transformation. Transparency and Personalized Service. Like many companies, Eurail.com faced a number of challenges managing translation. Uncertainty regarding overall translation quality and timeliness helped them to realize they were in need of a solution that would provide a better fit for their business goals. Delay in Content Delivery. Eurail.com faced the common struggle between the translation speed and their overall quality. With two in-house employees overseeing translations in 10 languages, they went through a long revision process, unable to find a way to drive improvements in the quality of the content while increasing the speed of getting it out to market. Access to Data. As a data-driven company, it was frustrating for Eurail.com that their process couldn’t provide them with useful reporting regarding their translation quality or speed because they weren’t leveraging a centralized system. Lowered Translation Costs. Since onboarding with Smartling’s translation management platform, Eurail.com has saved 70% by leveraging translation memory. Reporting and Analytics. Using Smartling’s roster of reports, Eurail.com now has data to understand that their translations are approved with a 97% accuracy rate, are meeting deadlines 98% of the time, and can identify which languages require more revisions. Accurate Translations. With Smartling, Eurail.com’s content team was able to put mechanisms in place to ensure translation quality. Content is now easily reviewed with Smartling’s visual context tool. Whenever an issue was flagged, they are able to go into the platform and update their linguistic assets, which include a glossary and style guide. Launched First Translated Page. All while migrating to Adobe Experience Manager, Eurail.com was able to translate and deliver content within 46 days. Personal Touch. Taking advantage of Smartling’s professional services, Eurail.com now has the transparency and support they’ve been looking for in their translation provider. Smartling has proven to be dependable in helping answering queries regarding translation requests.